...and your coloured image. 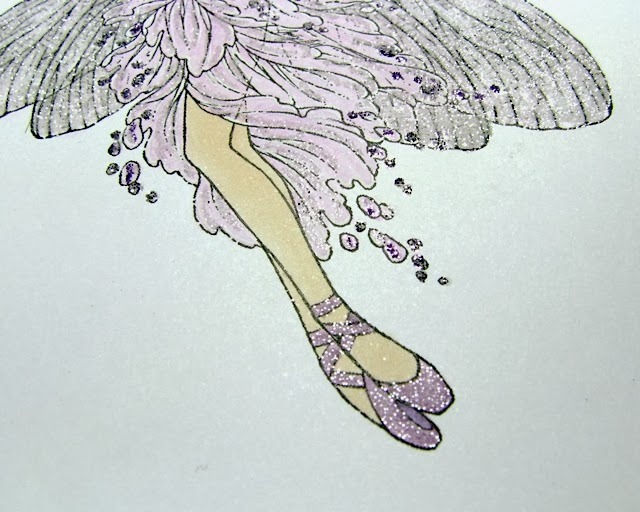 I used picture Ballet Fairy by Aurora Wings. 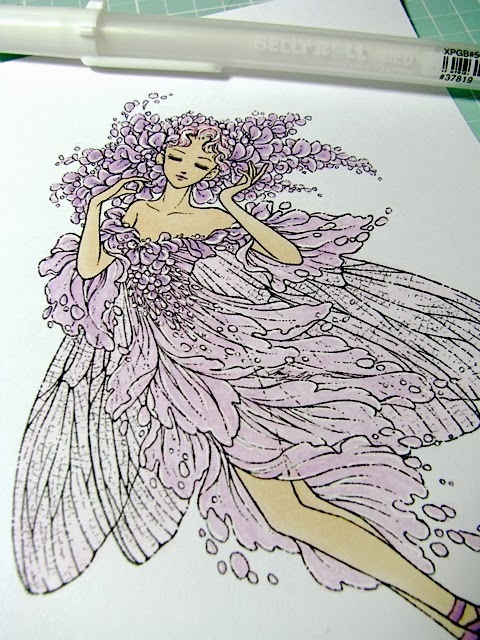 First I started with some white gel pen and added a bit of accent on the flower petals and a dress. 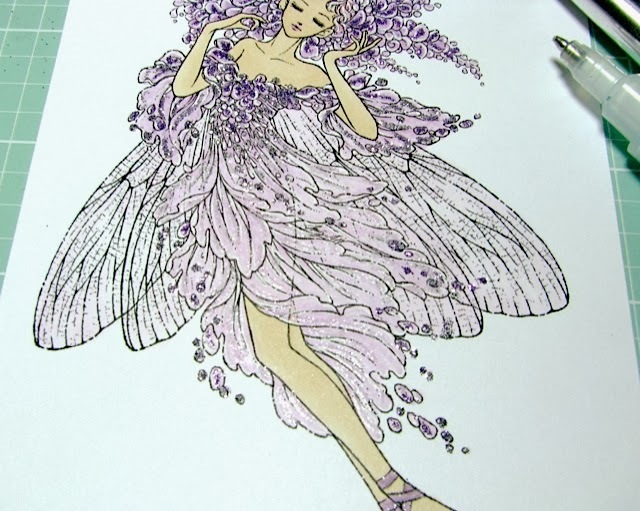 Next I picked my darkest glitter (charoite) to add on the petals. 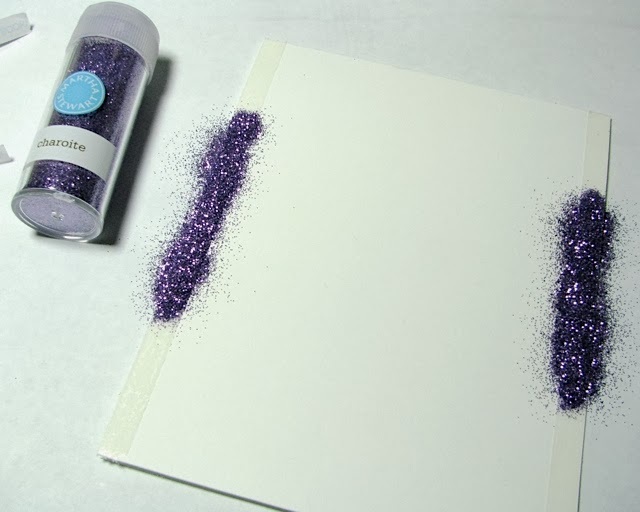 First I use my antistatic pillow on the picture to get glitter off easily. 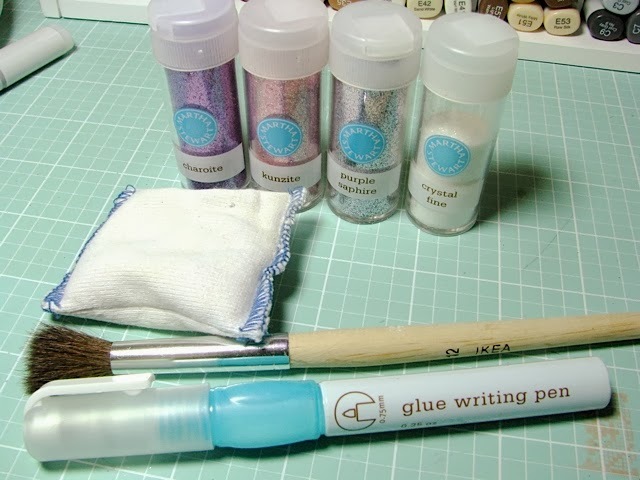 After applying glitter I use paintbrush to brush any extra glitter off or to remove some if I think there's a bit too much in some spots. 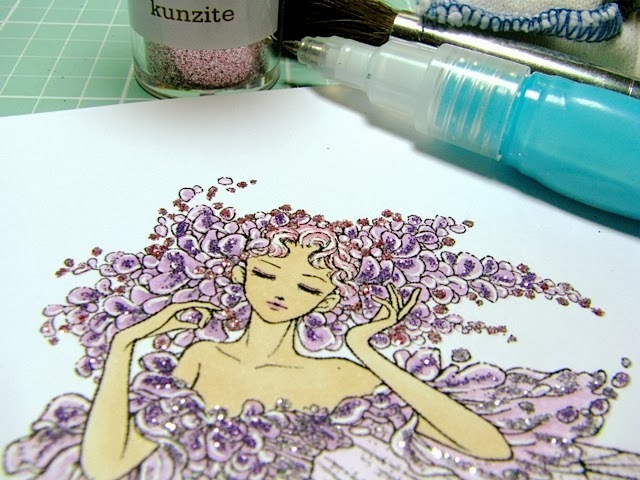 Next I added few tiny spots of kunzite. 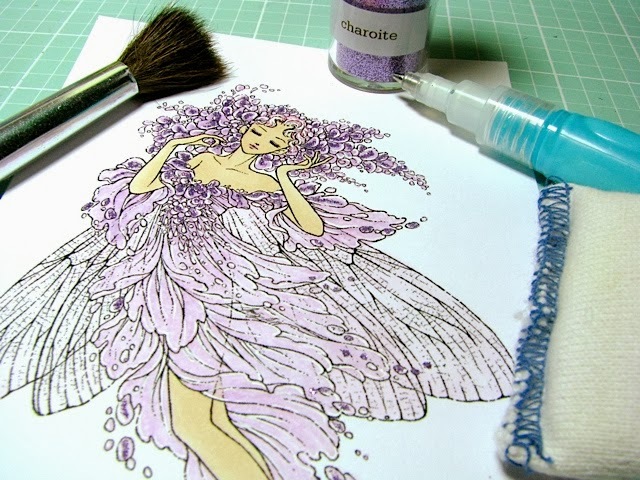 Same way: antistatic -> glue pen -> glitter -> paintbrush. Next I added few more spots of purple sapphire. 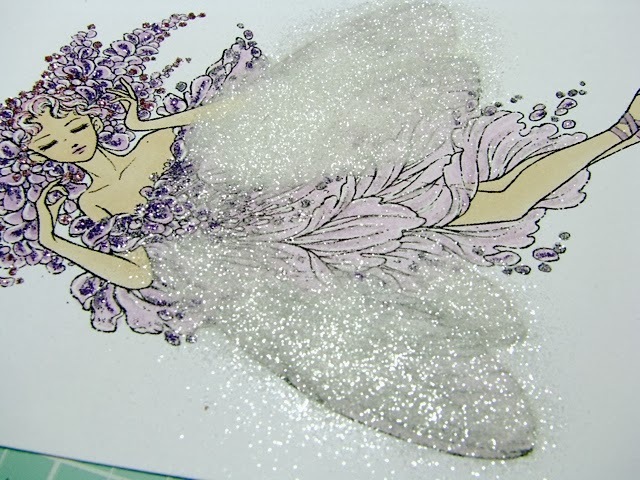 I applied glue in stroke motions on the dress and covered it with crystal fine glitter. I also covered her shoes with it. Now the wings. 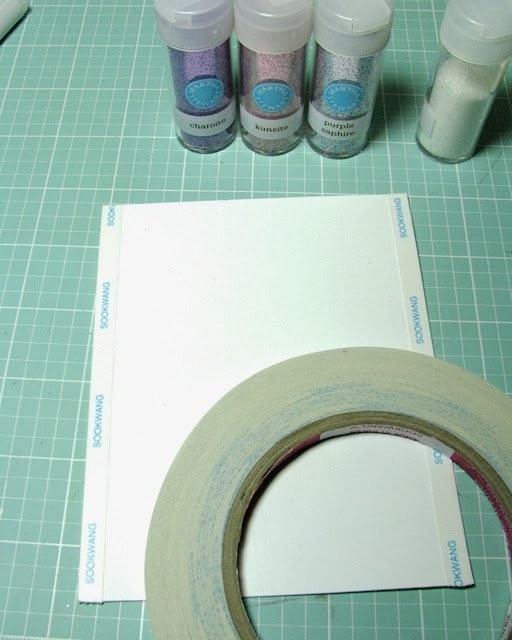 You can use a different type of glue here like Glossy Accents, though I prefer to stick to my favourite glue pen. 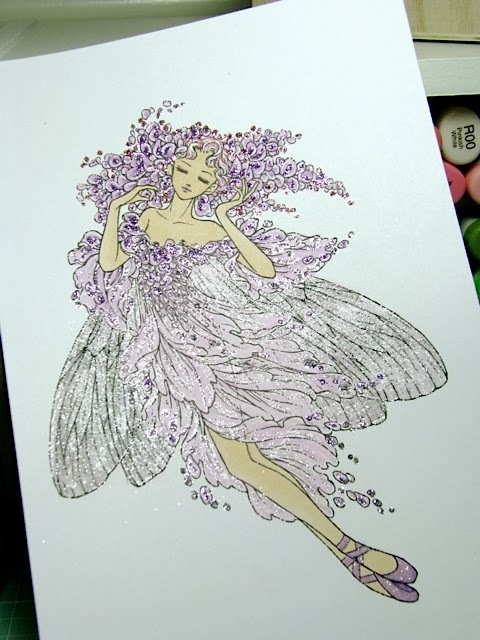 I carefully covered wings with glue and generously applied glitter on top. 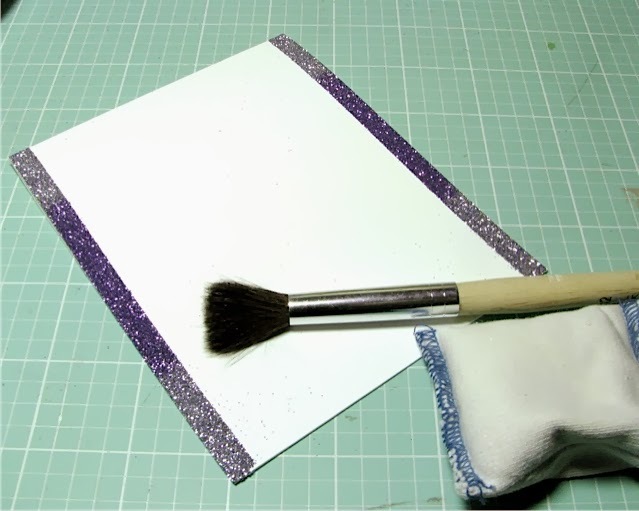 I also put a thick plastic bag on top and pressed glitter onto the paper. Here's what I got. I'll show couple closer pictures so you can see the sparkle. Now my picture is ready to be made into a card. 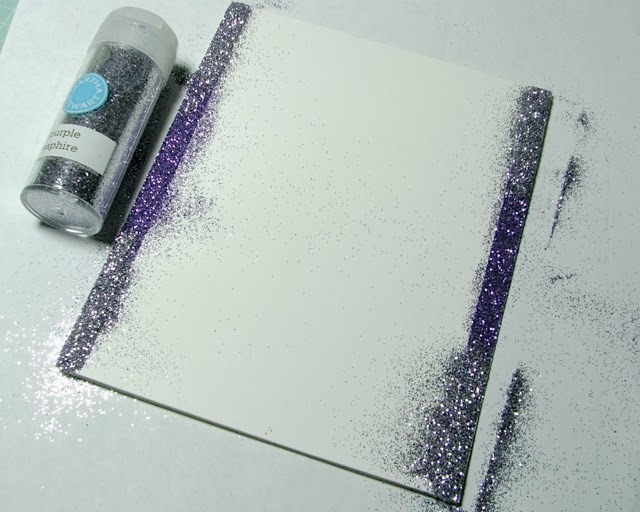 I decided to make a clean card and only add some glitter on both sides of my card base. I adhered double sided tape on both sides. Next I put some darker glitter in the middle. And lighter on the top and bottom of the sticky lines. 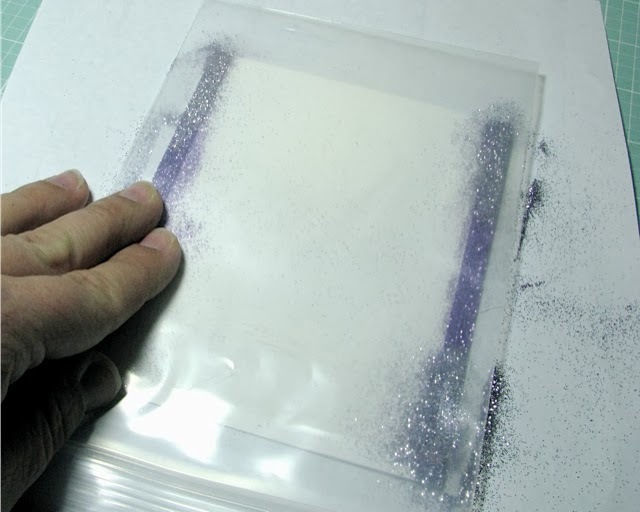 I again put a plastic bag on top and massaged glitter into the tape. You can also run it through your cutting machine, but I didn't find it necessary. My card base is ready. 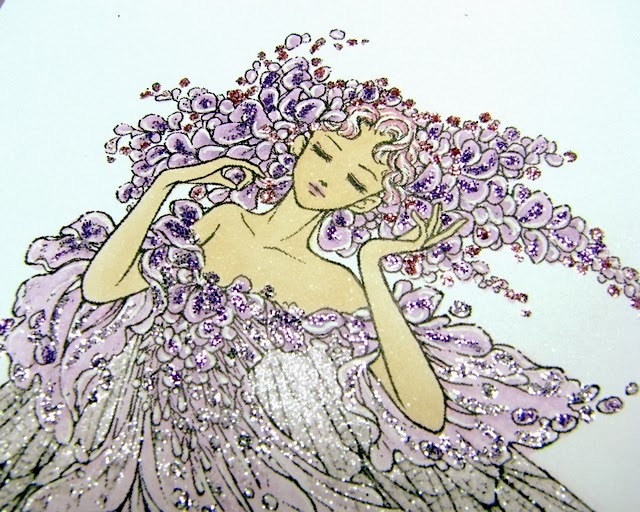 All I have to do is attach my sparkly picture. 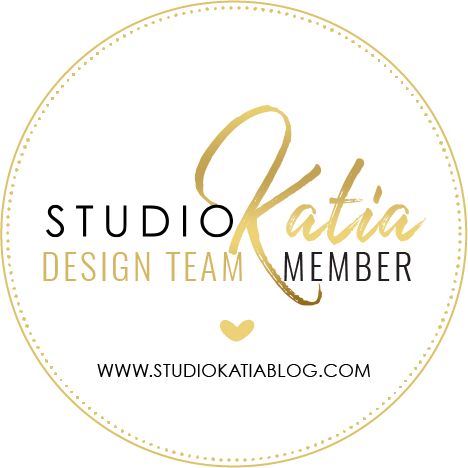 You'll find my finished card HERE. Have a great weekend! Thank you for visiting! Great tutorial, Lilia! 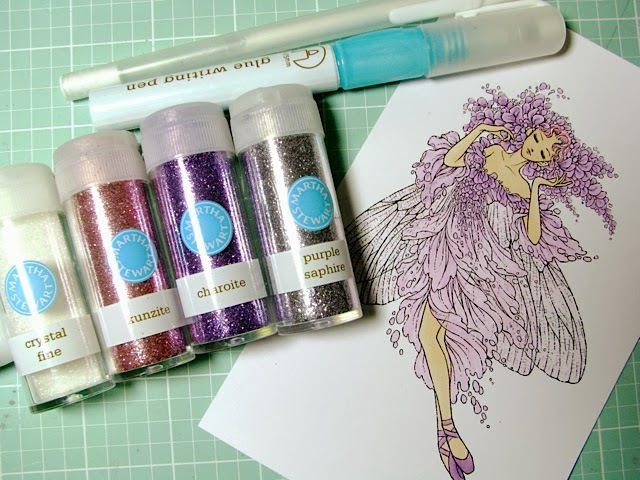 I never thought about using a plastic bag to work the glitter onto the tape - thanks for sharing. Beautiful card, too.